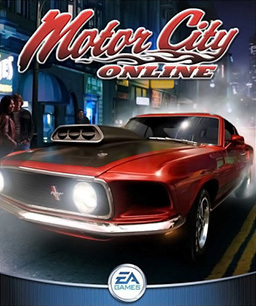 Motor City Online was a racing massively multiplayer online computer game released by Electronic Arts on October 10, 2001. The point of the game was to buy classic cars (mostly American muscle cars) ranging from 1930s to 1970s models, tune them up, and race them against other players. The game went offline on August 29, 2003 so EA Games could focus on their current online game at the time, The Sims Online. EA, however, is developing a new online racing game, called Need for Speed: World Online. Originally conceived as part of the Need for Speed series under the title Need for Speed: Motor City, all single player elements that may have been developed for the game were discarded in favor of an online-only model. The game featured some RPG elements, such as levelling up after completing tasks (e.g. winning races), and a functional, supply and demand economy for players to get involved in.